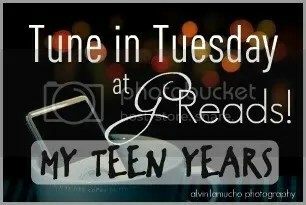 1999-2000 [Tune in Tuesday] – my books. my life. What were you listening to your junior year of high school? It was fun to watch the Nsync video, I haven’t seen it in forever! My junior year I was listening to things like: The Jonas Brothers, Aly & Aj, and Demi Lovato. OMG I haven’t hear these songs in really long time. I loved N Sync when I was younger and I used to listen to Blink 182 a lot also. Blink 182 are awesome. I swear nearly every teen knows the lyrics to this song at some point! What a beautiful picture! I loved a lot of these songs too, but I was slightly older when they came out. I did enjoy them though!